She started performing from age five, and at fifty, continues to light up the stage every time she sets foot on it with her brilliance and passion. 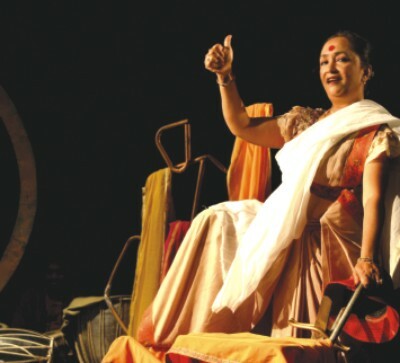 Titled 'The Flower of the Stage' and winning countless awards for what is truly her calling, Shimul Yousuf 's versatility as a stage artist, her intensity and limitless energy mesmerises the audience and leaves it breathless and exhilarated. Three days before her birthday on March 21, Shimul reveals a little of the person behind the awe-inspiring stage persona that she is.